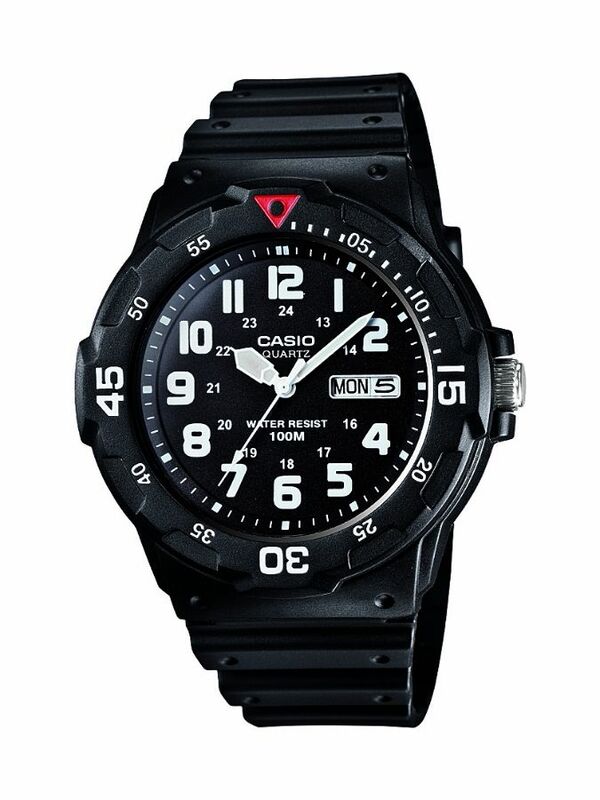 Part of the Casio collection, this watch constructed to a classic analogue design. The piece is housed in a durable resin case, water resistant to 100m. Suitable for everyday styling.